100% liquidproof gloves with Textured finish for excellent grip on wet and slippery material. 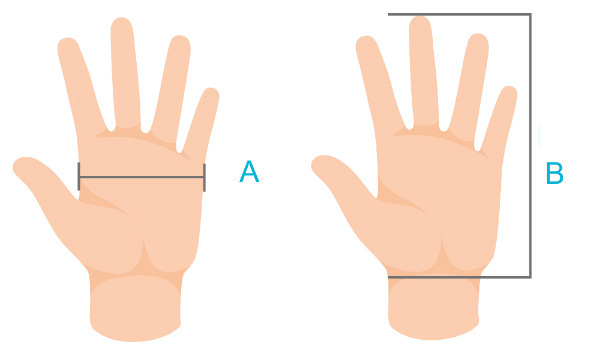 Extremely comfortable to wear gloves are made using Soft stretchy knit liner with no seams in working area, which provides cushion to the hand, absorbs perspiration and prevents chafing. 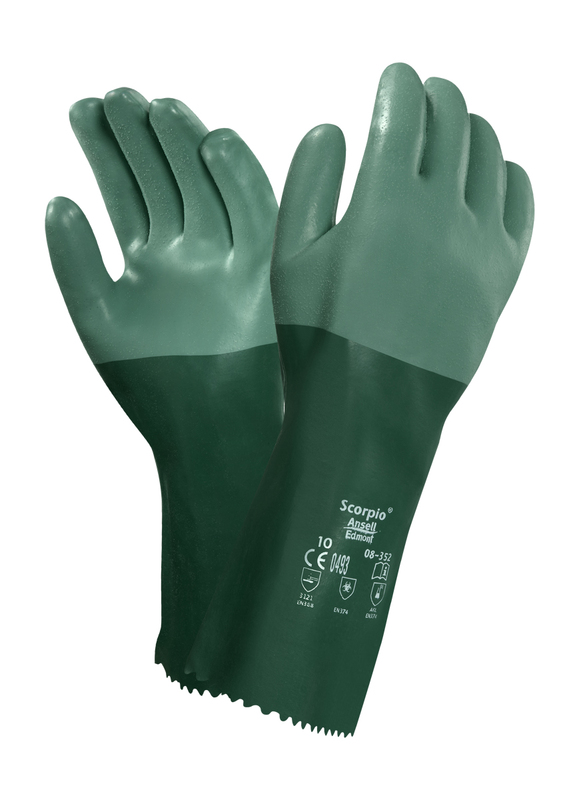 Heavy-duty protection against a wide range of chemicals, makes handling safer and increase productivity. Ansell Scorpio 08-352 Neoprene Coating resists a broad range of oils, acids, caustics and solvents. 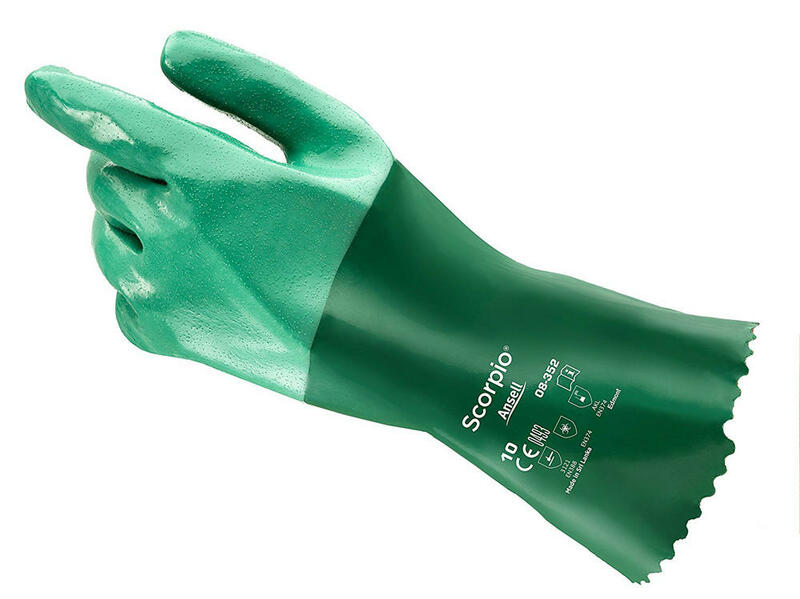 Ansell Scorpio 08-352 Chemical Protection Neoprene Gloves conforms to: EN374; EN374 AKL and EN388 3.1.2.1 safety standards. Liner materiaal : Interlock cotton. Grip design : Rough Finish.